Women trafficking and migration, domestic violence, women abuse incidents have been dominating the headlines very frequently. Thousands of women globally die each day from pregnancy related causes, domestic violence, suicides due to depression – and almost all of these deaths are preventable. Millions of young girls across the world are facing the terrible condition of extreme poverty, child marriage, teen pregnancy – to name a few. Above all, the change is possible. The very first step is to be determined and love your life. You have to promise yourself that you won’t succumb to the abuse. Instead, you will live each day better and the best by fighting off all these upheavals. Women Rising Above Abuse (WRAA) – the non-profit organization for domestic violence victims is trying their best to empower, strength and uplift survivors to help them lead a life of redemption. 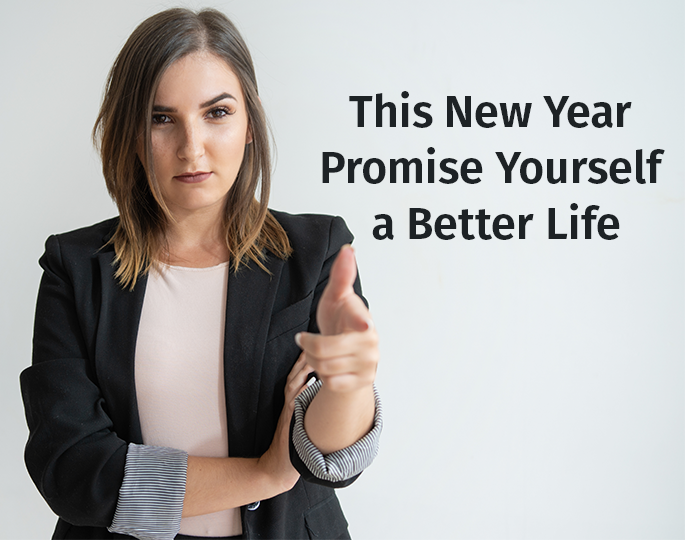 Here are the New Year resolutions that you can promise yourself to make your life the best. DONT GIVE UP – Abuse is all about power and control. One of the most important aspects to lead a better life after you’ve faced or facing the abusive relationship is “Don’t give up”. If you’ve ended the relationship, don’t feel sad or live with the grudge, instead move on and make the best of your life. Ultimately, you yourself have to take the decision about what you want to do and find the safe way to remain stick to the decisions. FIND SUPPORT IN NGO – Look for a non-profit organization for domestic violence victims that host workshops to help you overcome with the past. Workshops are one of the most comprehensive approaches to prevent violence against women and children. In the workshops, the victims are taught about the tools that can help them overcome the past abuse. They also help women and girls get connected to the right people for the best personal outcome. BE YOUR GOOD FRIEND – Friendship is above all relations, but friendship with oneself can help you reach far and wide. When you’re struggling to support yourself, with a partner, parents, and friends to lend you support, be your own friend, take care of yourself and find the best suitable means to support yourself. You have to live for yourself, you’ve to be independent. Look for yourself a job as per your skills and abilities and earn and live. DRAW INSPIRATION FROM YOUR OWN LIFE – Don’t think that you’re all alone suffering from domestic violence abuse. Instead, there are millions of women and girls across the world who are suffering worse than what you’re facing or have faced. Physical abuse, sexual abuse and slavery are prevailing at peak these days across the planet. If possible devote yourself to helping others. Care for survivors of violence. Believe in yourself. Believe that you’re capable enough to bring about a change in your life and in the life of others facing the domestic abuse. The small act can make a huge difference in your life as well as the life of others. This is what the mission of all the non-profit organizations for domestic violence victims.